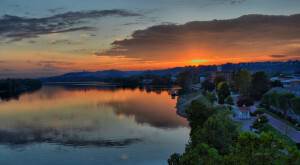 Ohio is full of small town charm—and we’re truly thankful for it. 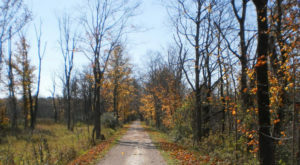 One of the Buckeye State’s most naturally beautiful towns is lucky enough to sit in the heart of Ohio’s very own national park. If you’ve never been to Peninsula, Ohio before, you’re truly missing out. Blending natural beauty with modern amenities, this town beautifully preserves a rural setting in an urban environment. 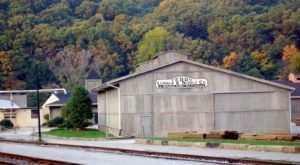 It’s truly unlike any other town in Ohio you’ll come across and the surrounding area and townships are worth exploring as well. 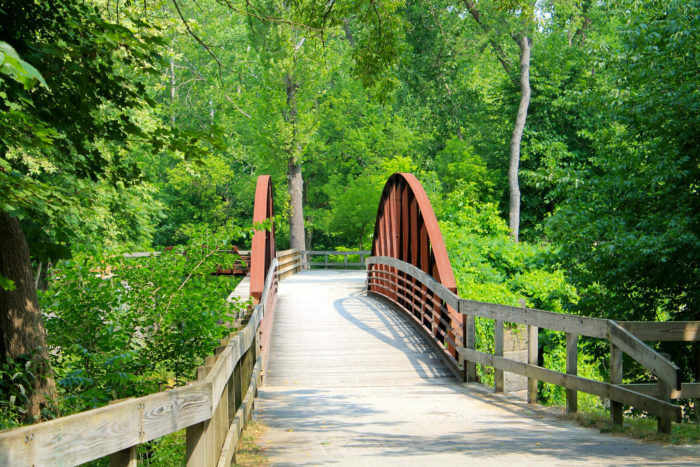 The charming village of Peninsula sits in the middle of the stunningly beautiful Cuyahoga Valley National Park. The park was established in 2000. 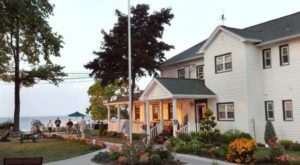 Peninsula was established long ago, in the mid-19th-century, and much of its history has been preserved. 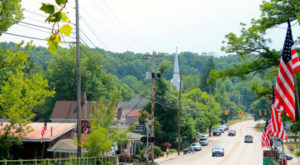 As of 2010, the population of this quaint Summit County village was 565. Today, it's a gorgeous town full of history, natural beauty and gorgeous scenery. 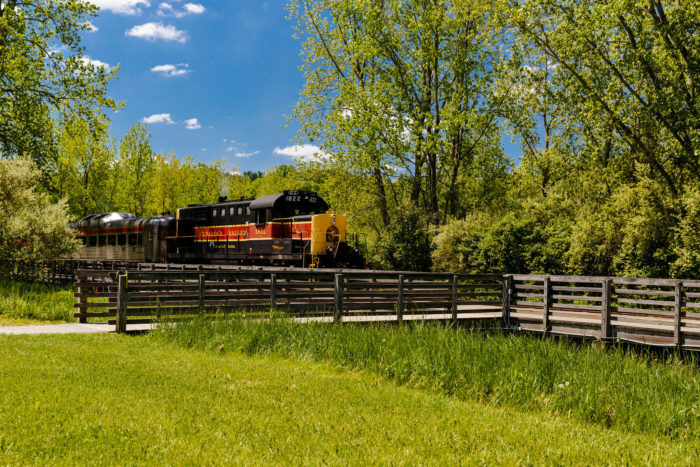 The Cuyahoga Valley Scenic Railroad is another must-do when you're in town. It's a gorgeous train ride that takes you through the national park. 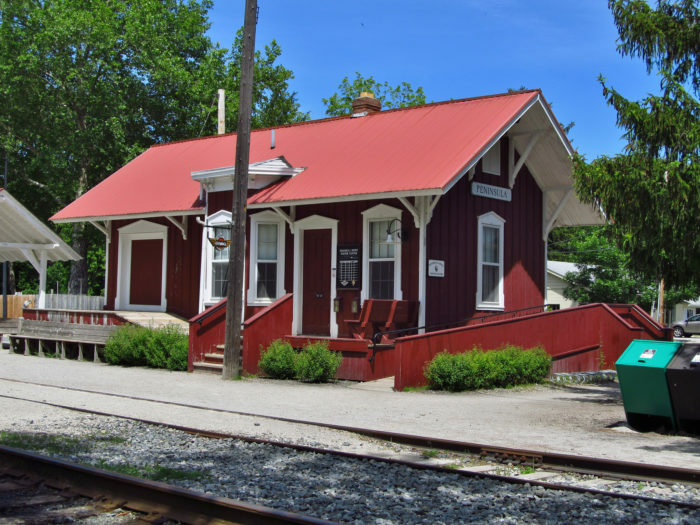 Depending on the day of the week, you might even see a train or two pass through Peninsula while you're in town. Since the town is in the midst of a national park, there are several nearby hiking trails that lead to breathtakingly beautiful places. 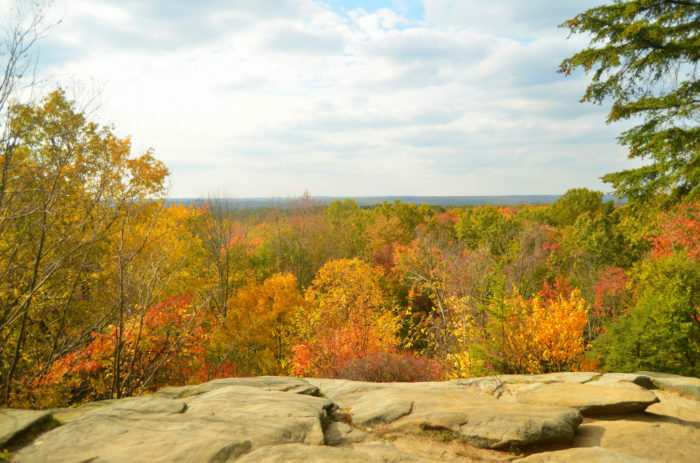 The Ledges Overlook (pictured) and Blue Hen Falls are popular hiking destinations. Everett Covered (pictured) is another popular hiking destination near Peninsula. It's a must-see when you're here. 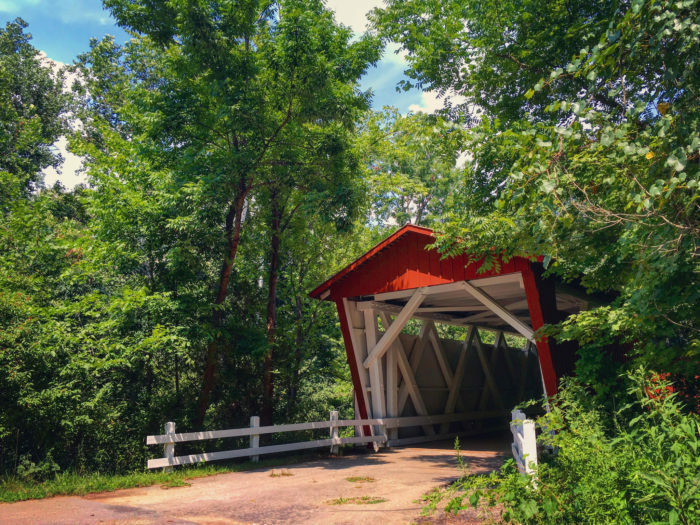 It's the only remaining covered bridge in Summit County and was built in the 19th-century. Pictured below is the Ohio & Erie Canal Towpath Bridge. If you enjoy biking or walking, this is a lovely trail to take. 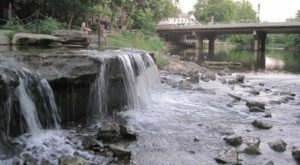 The Ohio and Erie Canal Towpath Trail runs close to downtown Peninsula, making Peninsula a popular stop for many bikers and hikers, as it is one of the only towns between Akron and Cleveland. 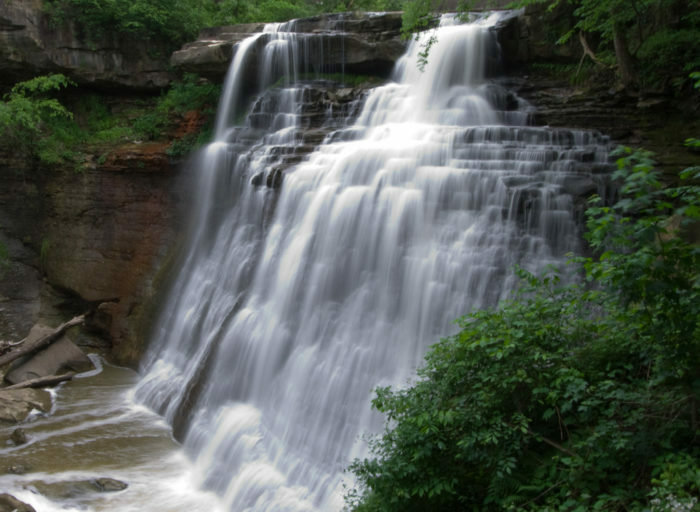 And if you have the time, we recommend stopping to see Brandywine Falls before you leave the area. It's a stunning 65-ft. waterfall within the park. You can drive right to it at 8176 Brandywine Road in Sagamore Hills Township. Have you ever explored Peninsula before? 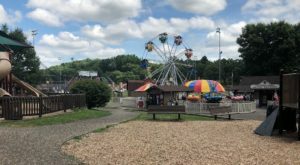 For more beautiful towns in Ohio for nature lovers, check out our previous article: This One Small Ohio Town Has More Outdoor Attractions Than Any Other Place In The State.